I would like replace my GTV-6 wheels for a new set. I do not know what is the best size; 16x7 or 17x7. If anyone has experience with the larger size wheels, I appreciate the input. My car is a street car with occasional track use. I like the general feeling of the original car and would like to maintain it as much as possible. It is hard to find tires for the original wheels with strange metric size. Only the '85 came with the metric wheels, '81-84 & '86 had normal 15" wheels, or you can use the wheels off of a Milano. 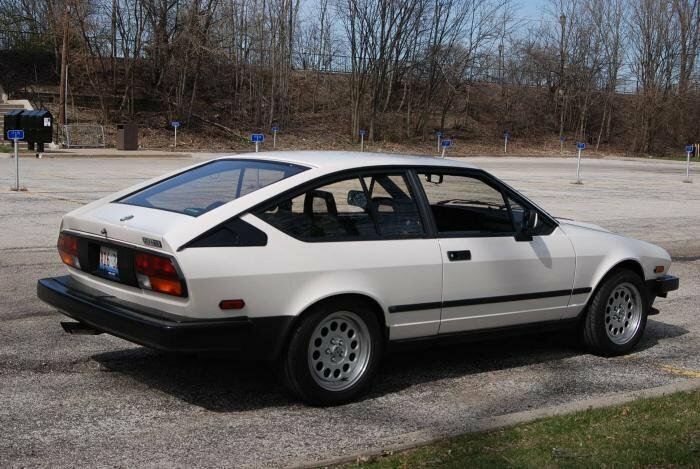 There are a few suppliers out there that sell wheels for the GTV6, I would suggest starting with Centerline, they have some nice 15", 16" and 17" wheels options. Yes, I wonder why Alfa did that. Thank you for your response. Do you have any experience with larger wheels (16 or 17)? Do they make the ride too hard for regular street use compared to 15? 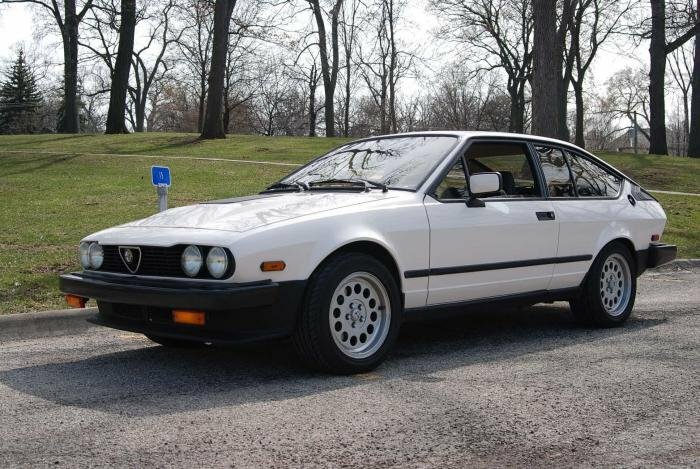 I am running 15" Autostil wheels on my GTV6 and 15" Team Dynamic wheels on my Milano, both are 15" x 7" with 205/55 on the GTV6 and 205/50 on the Milano, I have no problem with ride or handling, but I don't really do track days, but I did wear out a set of Avons tires on my Milano in about 10k miles, I drive it hard and I have no complaints. If I do buy another set of wheels, it will be 16" wheels, I think they give the best look and tire choice options, but that is complete my opinion. There was a thread on the old style OZ wheel that someone was reproducing and I think Joe C. from Centerline said he was going to sell them in the US, I have not seen or heard any updates, but those wheels are beautiful and period correct, I was hoping they were going to come in 16"x7". Just as a quick note on the metric wheels... Michelin was more responsible than ALFA. Peugeot and some others gave those a try too. Michelin thought it seemed silly to make 15" tires, when everything else had gone metric. Their plan, as I heard it, was that they would initiate metric, and Good Year and the rest would have to follow suit. Leaving the competition in the dust, and looking antiquated. The other tire companies would have to play catch-up in the development cycle and getting them into the pipeline. Turns out, it backfired on them. No one else bought into that system, and Michelin found themselves to be the only BetaMax in a VHS world. You can still get new Michelin TRX metric tires, through Coker Tire in Chattanooga. They even say Michelin on them... identical to the 1985 tires in every way. Even the 25 year old technology in manufacturing them! As a street tire, I have no problem with them (stiction to wear ratio is actually pretty good). As they are now constructed by the same company that you would get new tires for your Ford Model 'A' from, the price seems to get even more expensive over time. Dang... and I found those metric Speedline 'phone dial' wheels the most gorgeous of all the options (stock and aftermarket). 1981-'84 Campagnolos--- a bit heavier than the other two, but also more bullet-proof. Not as unique as the other two, thanks to a 4 year run. The other two were only around one year, each. You're likely going for an aftermarket rim... so the above may only provide historical insights. And not get you any closer to a Ronal, OZ, or such. There were some ALFA rims on later models: 147, 156, and maybe 164s... that had some of that 'phone dial' styling. I might be interested in a set of those, if I knew that a 16" or 17" had proper diameter and offset clearances in a GTV6 wheel well. Anyone know the answer to that?? Last edited by planetmojo; 11-10-2010 at 03:38 PM. Take a look at my web site. Giv e me a call if you have any questions. Anyone know if these will work on a GTV6? Here is a 'phone dial' style rim on an ALFA 156. If those came in 16" or 17', and worked on a GTV6, I'd consider those. Anyone have any experience there? Yes, those phone dial wheels are very nice. Classic Alfa in England was going to reproduce the Ronals. Based on what they told me, they are waiting to get the required licenses from Italy.....could be months or even more. I feeling is that 16 is the best compromise between looks and handling. Those (156 phone dial) kind of wheels would look awful on a GTV6, in my opinion. Too modern of a looking wheel, too many "soft" contours unlike the harder-edged wheels that look good in the GTV6/Alfetta body. Ronal A1s look very correct and give a nice stance (but hard to find), and many simple 5 spoke designs look good. Call Charlie out at Serpent. You can get a NEW set of wheels with correct fitment and hardware for a very reasonable price. Oh, and the 5-spokers especially look good on a clean-line GTV6. Personally, I like these Kahn RS-R lookalikes that were sourced by Serpent. Note the crisp lines and clean front face. The type 3 and 3.5 are darn close to that one. My vote says don't distract from the subtle contours of the car. Leave the blander sheetmetal cars to don the fancier, busier wheels. The GTV6 has more going for it. A highly biased opinion here (and they are like ar$eholes - everyone has one...) but I really like the look of my OZ Racing Supertourismo. I am running 17x8 with slight scrubbing issues - if I had my time again I would go with 17x7 et35 is perfect. First of all, wheel choice is always a matter variable by personal tastes. Personally, I've alvays feel most of the avaliable wheels in the market for a GTV6 are too modern and does not look period correct. Did you look at my Thread called "Another Tire and Wheel Tread" in the Milano seciton? I've had both cars and the clearances are extremely close. check it out. It should shed some light on the size you can achieve. I have other photos if you need as well. Thanks, I am going to check it. I always liked the Ronal A-1s on an Alfa Romeo GTV6. Sorry, I did forgot the Ronals. Yes, I'm agree, Ronals look great. Go to first new post Milano service in DFW?